As bad as politics in West Virginia might seem today, there was a time when the state had four governors. In 1888, Nathan Goff, Jr., and Aretas Brooks Fleming campaigned for the governorship. Goff appeared to be the winner, but Fleming contested the vote. Both took the oath of office. Then former governor Emmanuel Willis Wilson declined to vacate until the matter was settled. At the same time, Robert Carr came forth as president of the Senate with the valid claim that the state constitution required the Senate President to fill any gubernatorial vacancy. 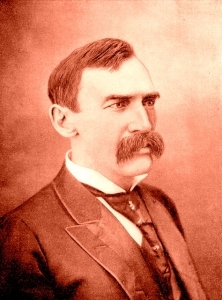 The matter wasn’t sorted until 1890 when the Legislature’s Democratic majority confirmed its party’s candidate, Fleming, voting along party lines. Fleming became the eighth governor of West Virginia and served three years. (Wilson served five, his term and a year that would have been served by Fleming.) Goff, who had apparently won the vote, lost. 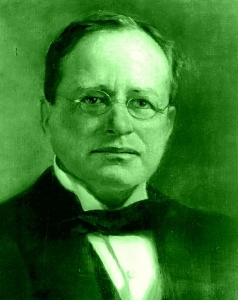 Goff later became a U.S. senator and served from 1912 until 1919, after which he retired to Clarksburg. 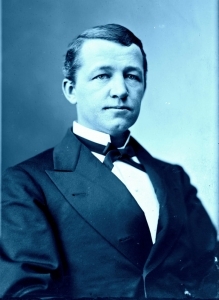 Fleming did not pursue a second term and returned to Fairmont, where he joined brother-in-law Clarence W. Watson in business, establishing what would become the powerful Consolidation Coal Company. Wilson left politics altogether after his governorship, but he left his mark as a fighter against corporate privilege. 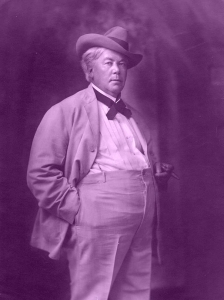 Historian Otis Rice described him once as the “most noted foe of corporate privilege” among governors of the era. According to the W.Va. Encyclopedia, Wilson represented traditional agrarian Democrats in contrast to the Republicans and the pro-industry wing of his own party and called for improvements in mine safety and the regulation of railroads. Carr apparently left state politics in 1889. Find out more about the 1888 election here.